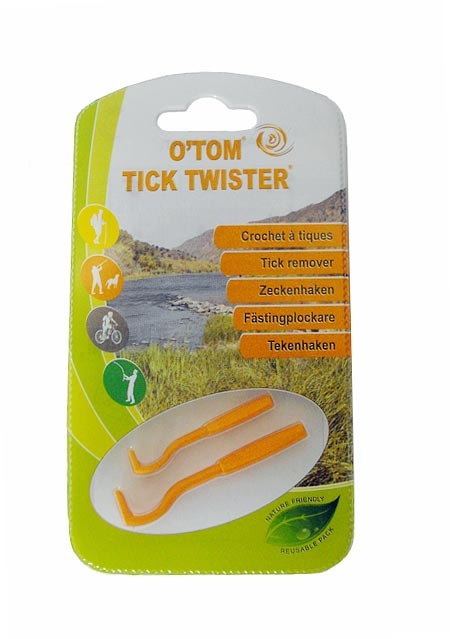 The Tick Hook enables painless, quick, and complete removal of ticks from your animal's skin. When the tick is grabbed with tweezers or similar instruments, the tool exerts a pressure on the tick's body: this pressure promotes saliva back-flow in the host skin, and increases the risk of injection of allergenic matters and above all the risk of transmission of tick-borne microorganisms. When the tick is grasped with a specialist tool, there is no pressure on the tick's body, thus, reducing the risk of the injection of allergenic matters and the transmission of microorganisms.